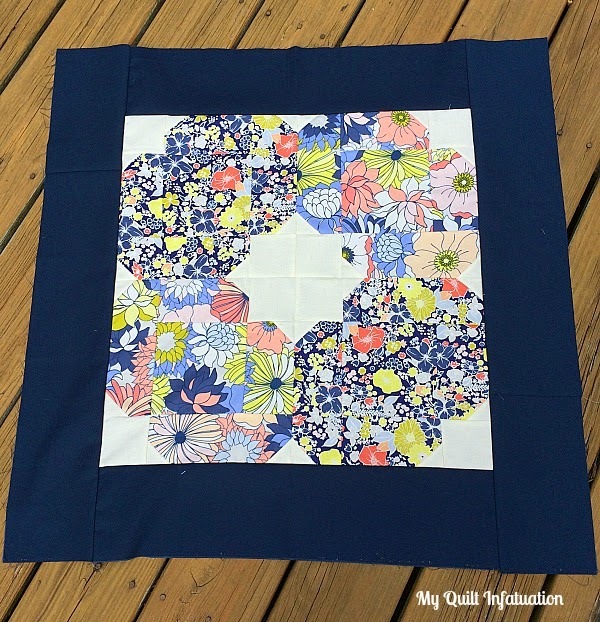 My Quilt Infatuation: Fat Quarter Style, NTT (Early), and a Giveaway! My favorite pattern in the book is the Mosaic block. Good luck with all the back to school stuff. I'm tired just thinking of your week. (I taught for 11 years.) Thanks for hosting! I really love the lattice block. It kind of looks like a splicing technique which is something that I just read about a couple of weeks ago and would love to try it. I hope that your transition goes smoothly this year. I know the first year of teaching something new is always a bit hectic. I have to say that the Tapestry pattern is my favorite ~ I love the star it makes in the center! Thanks for the chance ~ fingers crossed! I like Raindrops....with Mosaic as a close second. I think I ha e to go with Tapestry, and raindrops. This looks like a really fun book. Your block will be a lovely preemie quilt. You have had quite a week! I would have a hard time wrapping my head around a two grade level jump! Its like totally switching gears! I hope your transition will be smooth. I need to get in gear and write a post so I can link up with NTT! I have been working on your easy peasy chevron, and I'm loving it! I have some fum zipper pouches to share, too! Thanks for hosting! I like the lattice pattern! I like the pattern in the cover of the book!! My favorite pattern is RAINDROPS! I love the Mosiac block - quick and cool! Good luck with your new grade level - a change is always a challenge but you seem like a switched-on lady who will handle it with style! I love your rendition of Tapestry - I would make that or Primrose. The book looks great - thanks for the chance! Mosaic is a great pattern. Thanks for the chance to win. This is such a hard question since a lot of the quilts look like great patterns. Since you asked us to choose a favorite I'm going to go with Emblem, but Plume is a close second. Very pretty book. I like mosaic. Thanks for the chance to win. I love the Blossom quilt best. Would just love to make this beautiful quilt with all the bright fabrics! Love the Lattice Pattern ... hard to choose as they're all great. I LOVE your Raindrops pattern!! Loads of negative space to use my NEW longarm quilting machine!!!! My favorite is the Emblem block. Thanks for the giveaway. I think the Tapestry pattern would be my first choice too. Thanks for the Give Away, as the Mom of 2 Preemies your Thoughtfulness is so appreciated!! I would Love to try the Primrose Pattern! I like the Emblem the best, but would love to try making all of them! Hard choice but I think my favorite is the Lattice Pattern. Thanks! Welcome to 5th grade! That is the grade I teach! Too bad you couldn't have known you needed to move just a little earlier in the summer, however. I love the Mosaic pattern! Thanks for the chance to win the book! I like blossom, then raindrops (at least I think I have the right name with the right pattern) but really, who could not want to make them all???? Thanks for hosting the linky and the giveaway! Glad to see you back. :) My favorite is Emblem, followed by Lattice. But they're all fun! Thanks for the opportunity to win the book. 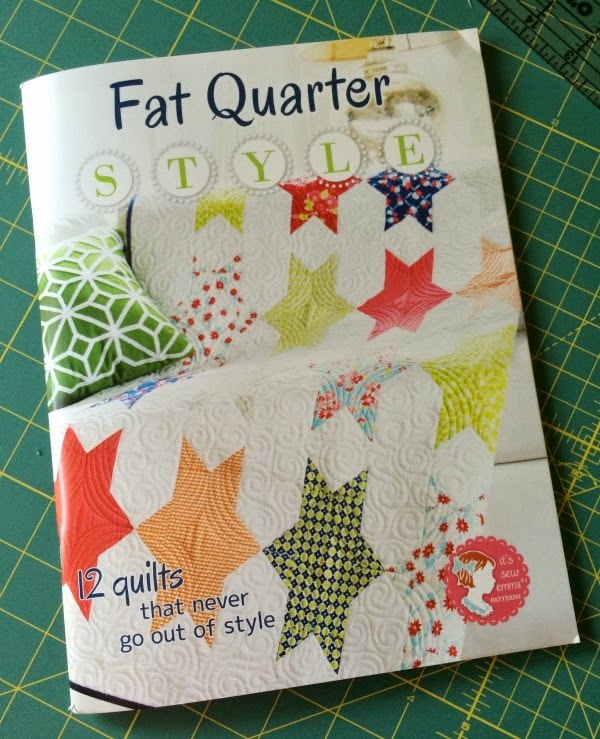 I love fat quarter patterns! I think I would make blossom first. I like the Blossom pattern! 5th grade is my favorite I have taught. Good luck! I like the Tapestry because it looks like circles and then has the cute stars when the blocks are put together. I really like the Rain Drop pattern. Thanks for the chance to win! Cute patterns, blossom is my favorite. So many cute patterns! I especially like Blossom. Primrose is one of my favorites, but they all look lovely! Great giveaway! I like the raindrops the best. Hope those big kids are treating you well! It is a toss up between Blossom and Tapestry for me. They all look like quilts I would enjoy trying. I like the two-tone diamond one (that looks 3-dimensional). I think it might be called Raindrops. I love the Primrose pattern on the navy background. So striking! I actually love the quilt from the cover the most. Thank you for the giveaway. I really love Blossom, especially since it uses my favorite fabrics. I love the Lattice pattern! Thanks for having a giveaway!! Sparklettes (on the cover) is my favorite. Great way to showcase favorite prints. Thanks! HI, I like the 'Raindrops' pattern! Thanks for your Blog+a neat Giveaway! I like your tapestry block, but I would love to make a whole quilt from the raindrops pattern. Emblem is my favorite pattern! My favorite is the Marquee pattern. Thanks for the chance, they would all be fun. I really like the look of Raindrops. I've been looking for something to do with the modern solids stack I have, this block would be perfect. Thanks for the giveaway! Not sure if this is open to overseas visitors but anyway my favourite is Emblem. I love the lattice block too. My favorite is mosaic! Fun!!! I'm liking the tapestry pattern! You poor baby, back to school already. Happy permotion!! I like Emblem and also Raindrops. Couldn't decide which was my most favorite. Thanks for the opportunity to win! I like blossom, looks like it would be great for scraps/jelly rolls as well. I like the Marquee pattern! I really like most all the patterns; but having to pick just one....I think it is Lattice. Love the fabrics they chose to make the quilts also. School in July just doesn't seem right! I love the Primrose block. A the patterns are very nice. I'm intrigued by the flutter pattern! There is more than one I would like to try but I think I'd start with Flutter! My favorite quilt pattern is Sparklettes! I really like the Raindrops pattern. Wow - what a busy week! I hope you have an easy transition in this new school year. Thank you for the giveaway. I can't tell the name of the pattern from the contents page, but I would love to make the cover star quilt. I have some Heather Ross prints that would be fabulous in this pattern. I couldn't tell from the contents page which name went with which quilt, but I would like to try and make the blue and white star and the purple and white diamond shape blocks. Great book! I love the Lattice quilt. Thanks for the giveaway. Wow! It IS too early to have to go back to school. I feel for you - it took me the ENTIRE summer to set up my first classroom (third grade, by the way) and I was lucky enough to never have to move! I can't imagine doing it all the week before school starts. I would have been one giant stress ball. Good luck with your new school year! I love Sparlettes. But all of the quilts in the book are great. Thanks for the chance to win. Hard to choose a favorite from the book, but I really like the one with the navy background, but I'm not sure what it's name is. I really like the Primrose pattern. Primrose is my favorite, but I Blossom is really cute too! I like a whole lot of them but think I would do Emblem first as it is really different. Ohhh I hope I win!! The Check Me Out Baby Quilt Pattern It's Sew Emma is my favorite. Love to make small quilts. I really like the Tapestry the best...but they all look so pretty. There are several I would love to try my hand at. The first would be raindrop. A whole quilt of them, gorgeous! Thanks for the giveaway. I linked my project. I like so many, but the Sparkle one looks like the one I'd make first! So pretty..raindrop is my choice. Would love to try my hand at making that pattern. I can't figure out what the names of each pattern are, but my favorite is the one with the big stars! Love your Tapestry block. I would definitely do that one! I like the Blossom pattern!! thank you! I like the Marguee the best! I love the 3-D effect of the "Raindrop Pattern." Lovely block! I like Sparklettes. Tapestry and Lattice both caught my eye! Good grief, I can't believe you are already back to school. It should be a crime!!! My favorite block n the book, is blossom. I love flowers! Primrose and Emblem look fun, but like the look of each block!